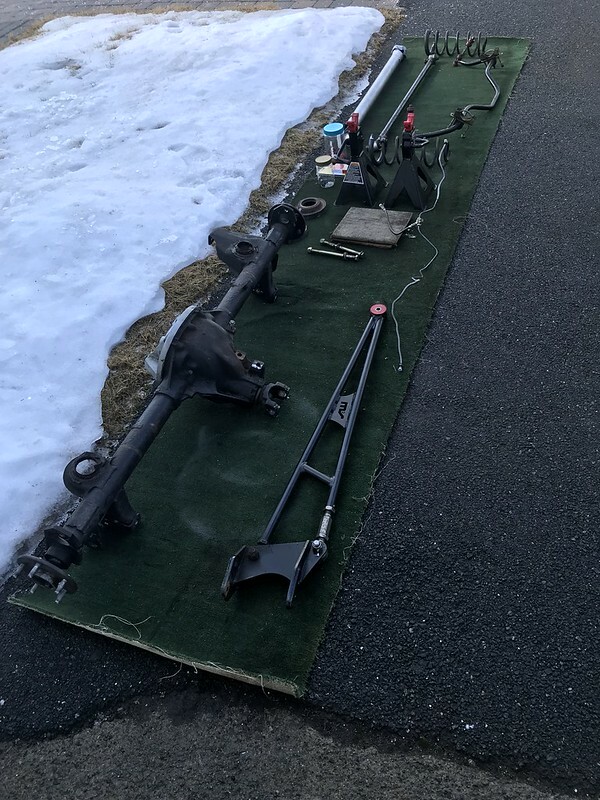 As some of you may know, and for those that don't, my major winter upgrade to the car this year is a new rear axle and a driveshaft capable of handling 800 horsepower. 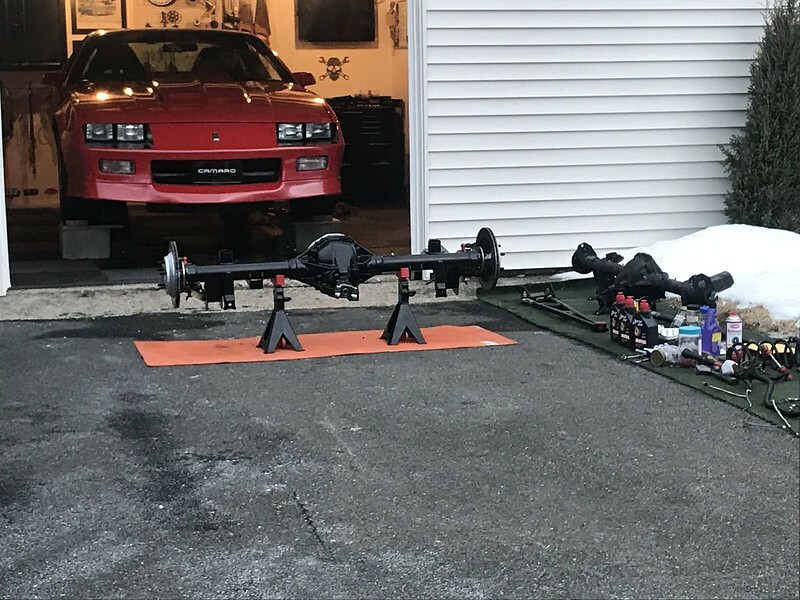 I have anther thread going where I have information about the transmission (done), fuel system(done), suspension (done), engine (next winter) and chassis mods (next winter?). here is that link: https://www.thirdgen.org/forums/tech-general-engine/749880-car-upgrades-prior-next.html This car is and always will be a street car. I have autocrossed it, road track raced it, and done some drag racing. I plan on doing way more drag racing with the car's next engine but will also not shy away from autocross and a short road track event either. Yet, the car will remain a street car and will put down several thousand miles a year. I have been doing reading and research online for the better part of this past year and I am of the opinion that a new 12 bolt setup is what I want. Nothing against the 9", 8.8", or 60 rears, I just don't think that it is what I want. I know the 60 is the most severe duty use but also heavy, more expensive, and more for pure drag racing. the 9" and 8.8 were options, but I honestly don't think I'll ever be that super intensely competitive with drag racing or any racing (for this specific car) where I'll want to be changing out 3rd members based on what event I'm doing. They do eat a good amount of power too and are also heavier. 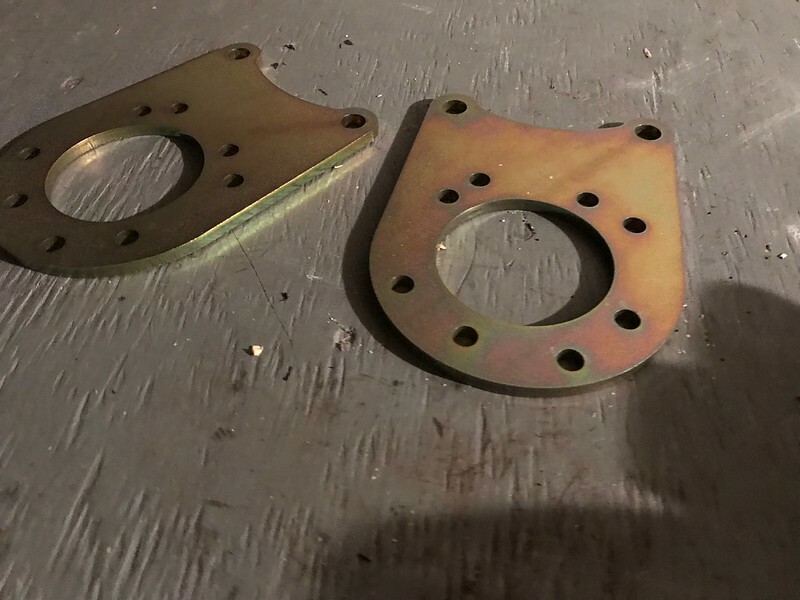 I also don't want to deal with the extra bracket that would be needed to mount my S&W racing adjustable torque arm either.. and I have read that it is common for the torque arm/bracket assembly to bang into the transmission tunnel and cause interference while driving down the road. No thanks . Also, i don't like the way it looks from underneath the backside of the car. Therefore, the 12 bolt is the answer. I am not going to spend a single penny beefing up my 10 bolt, as I know it will fail with the amount of power the next engine will be bringing. It has 3.73's and stock 26 spline axles. 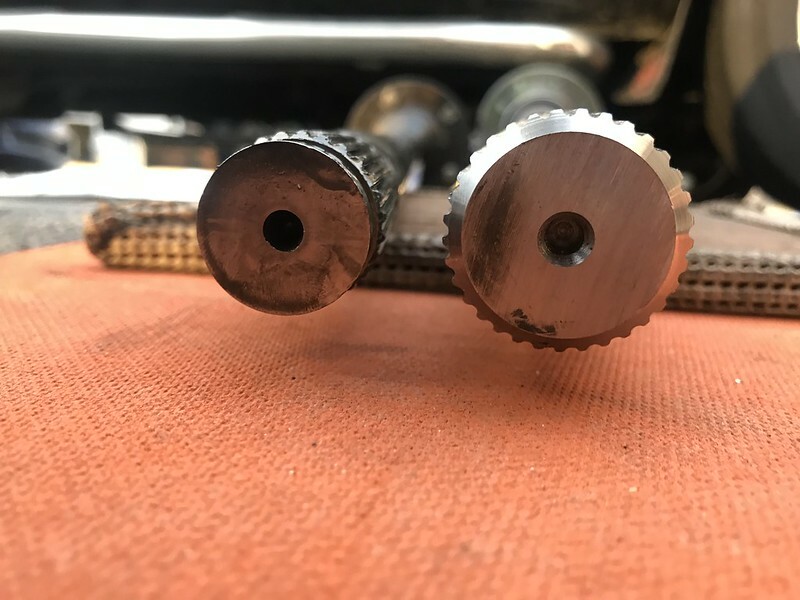 the posi unit has been on its last legs for several thousand miles, and one of the 5 fasteners that hold the diff case together is sheared off! I have looked at Moser, Currie, Strange, Quick Performance, Mark Williams, Drivetrain Specialties and so forth. A moser seems like the best bet. Their website is simple and straightforward, unlike some of the others. I called Moser tech support today on the phone and went over basically everything that I am discussing here. They are also of the opinion that a 12 bolt will suit my intentions very well. 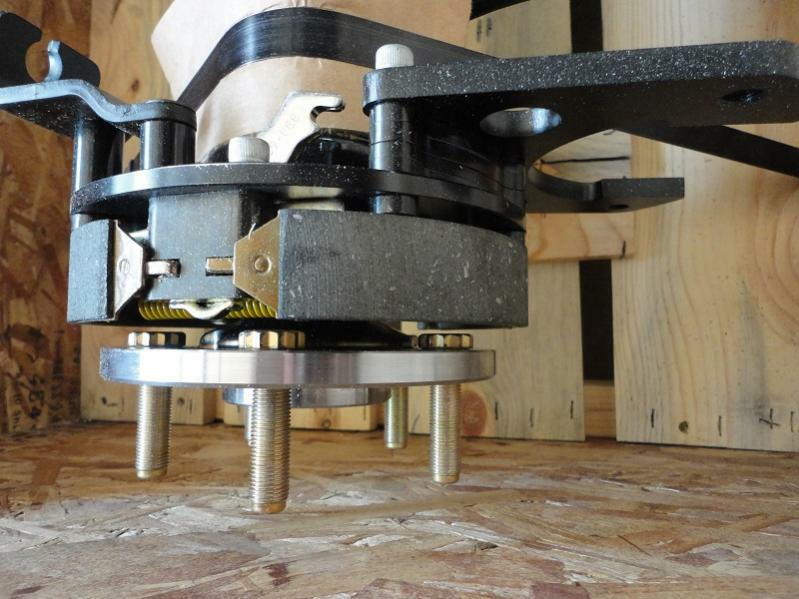 - Custom width and pinion offset: none needed ?? 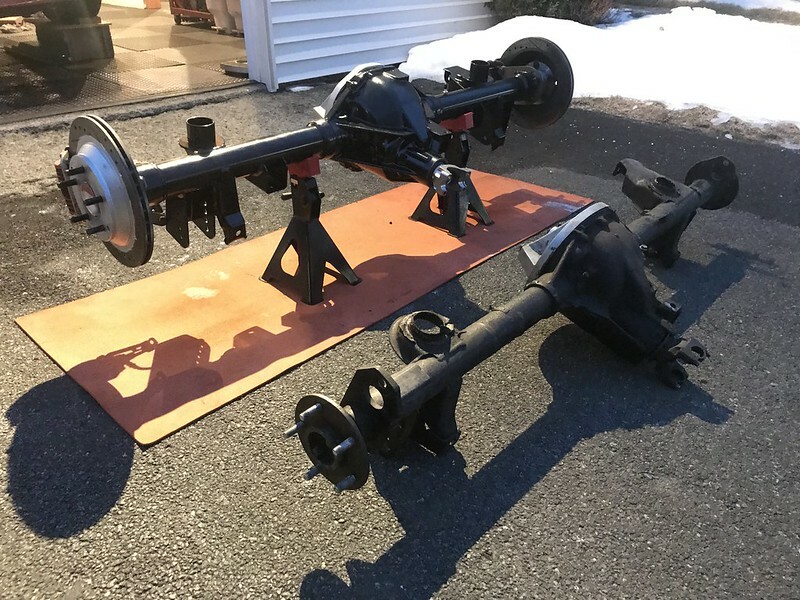 - Bolt pattern: 5 on 4 3/4"
- BRAKE OPTIONS: OTHER (I will need to write a detailed description of the 12" PBR setup and probably describe to them the brackets I plan to use; maybe I'll send them a link or photo ?)?? 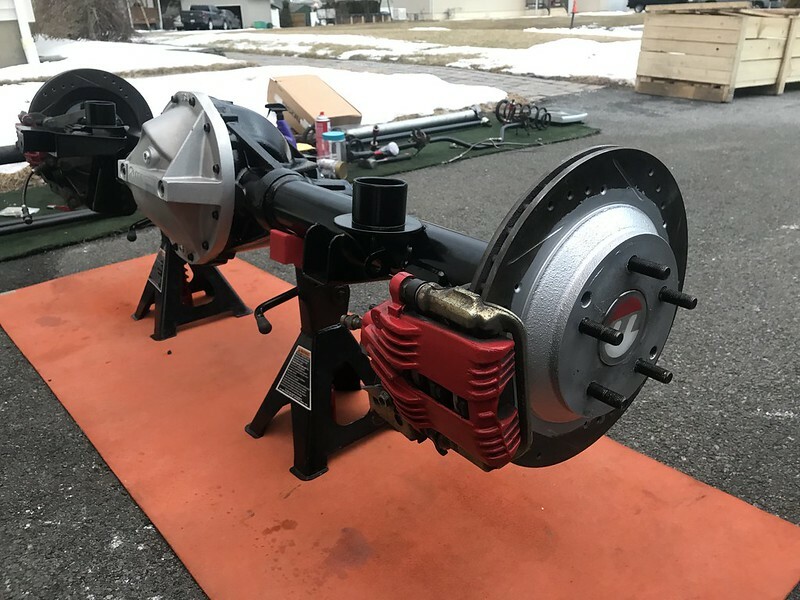 I currently have a 12"PBR brake package (from when I converted my old drum brake 10 bolt to a disc brake setup) from Ed Miller at FlyNBye performance ( http://flynbye.com/catalog/i11.html ). 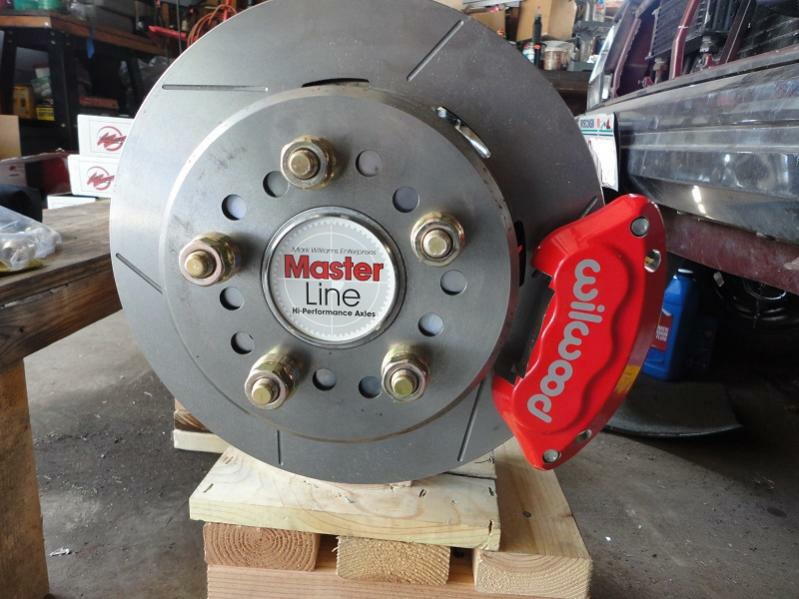 Since I already own the 12" rotor and PBR kit, I wouldn't want/need to buy a rear axle from Moser that has a brake package pre-installed on it.. 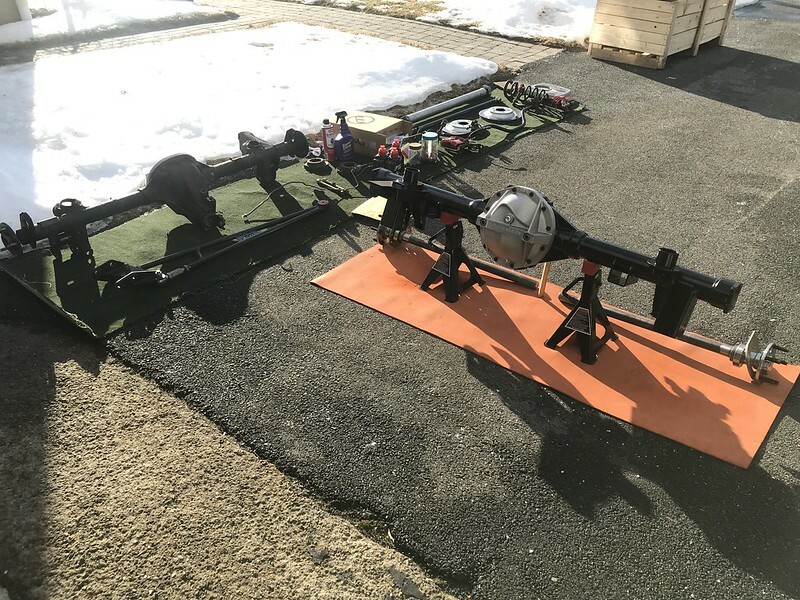 I would want to use what I have since they work great and I already have it here. 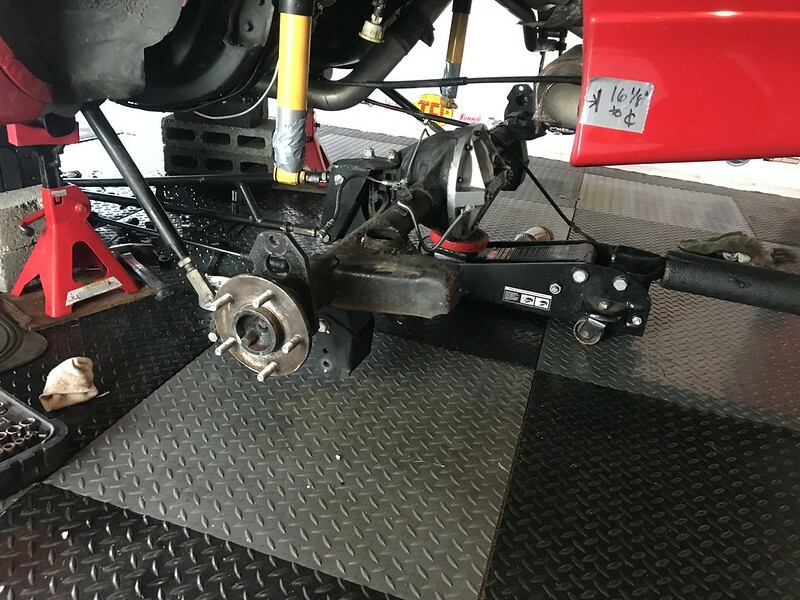 a: on his website it says that those caliper brackets work but give the 2.75" offset...however Moser says that they typically build their ends to be spec'd to the 2.5" offset. 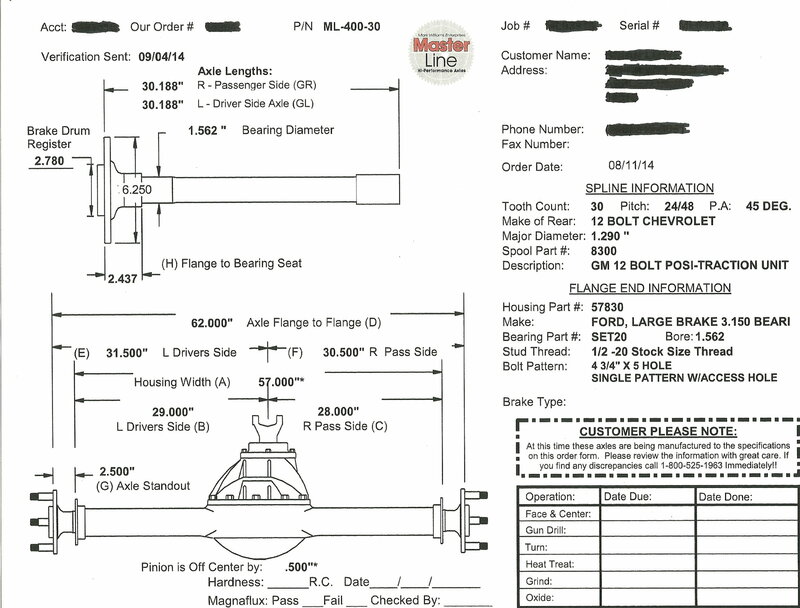 they recommend a 2.5" offset, but if needed they would possibly make adjustments for a 2.75" offset? thoughts/input? b. should I go with a 'sealed ball bearing" or "tapered roller bearing" setup ? 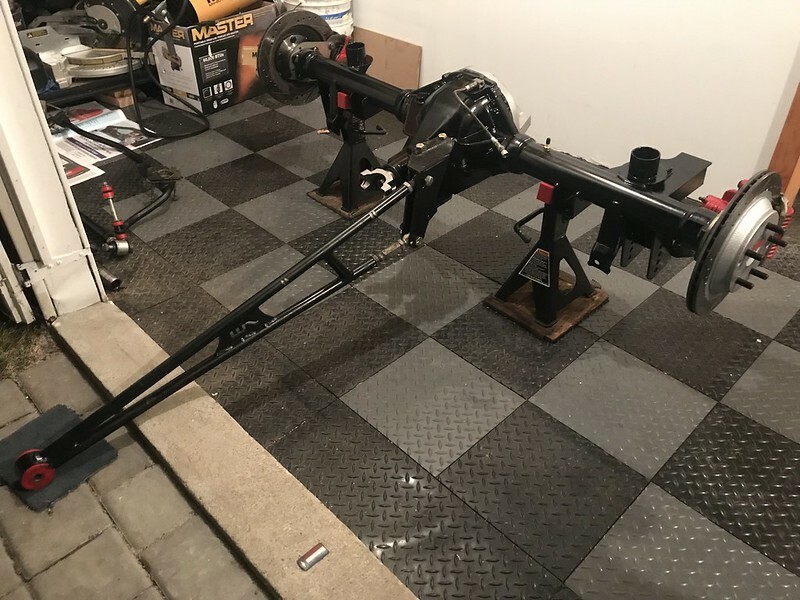 they have a note on their website that the tapered roller will not work with 93-97 fbody brakes, but I do not believe that the 12" PBR disc setup is similar to the LT1 fbody brakes?? if it is, or if the tapered roller bearing setup will not work, please let me know so I do not make a mistake when ordering. 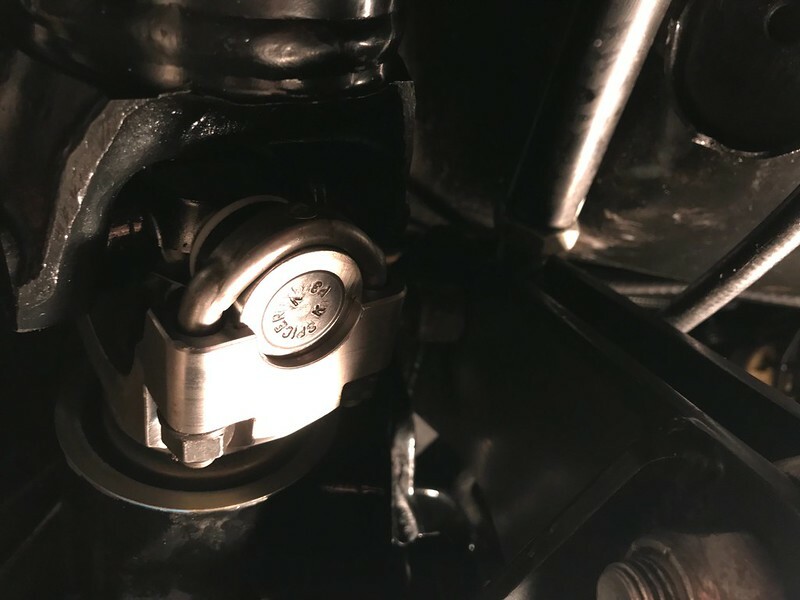 Moser suggested tapered roller bearing because the car is mostly a street car that sees about 3,000 miles a year and will later see 8-10 drag-strip days as well as some autocross and aggressive street driving. Anyways, sorry for the extra long post. 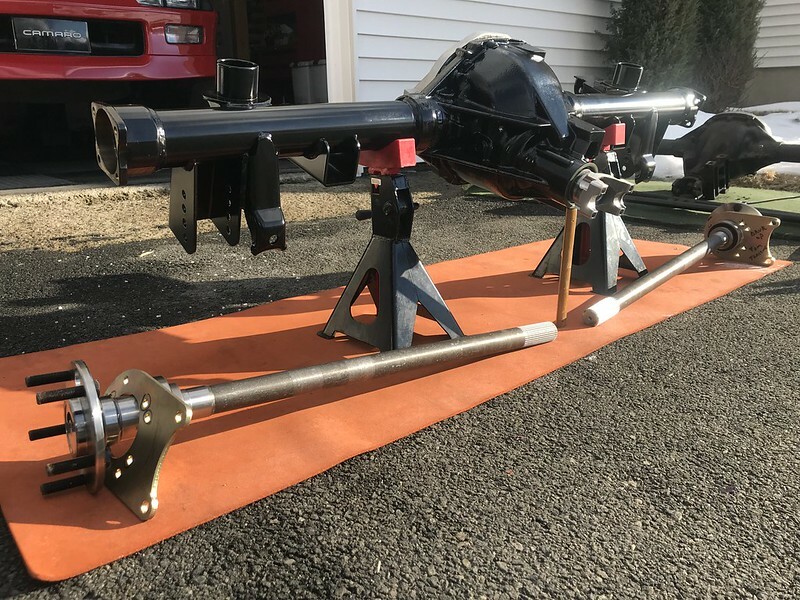 I want to make sure that I order this rear axle once and have it done and only need fluid changes every so often for many many years to come. Once the rear is here and in the car, I will have to measure for a driveshaft and order one. 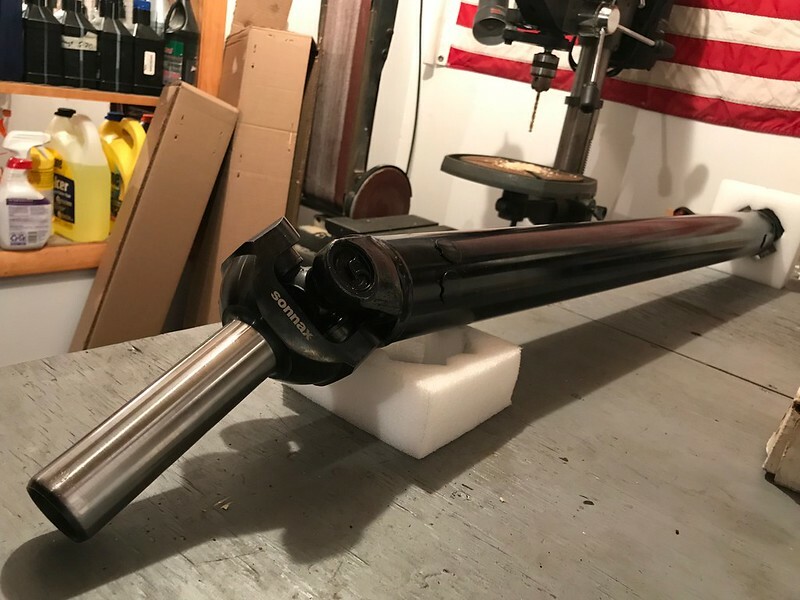 It should be exactly the same measurements as a stock length 3rd gen auto-trans driveshaft, but just in case something is a small amount of difference, I am going to hold off on ordering the driveshaft until the rear is actually in the car and set. Thanks for the advice and any positive/negative feedback will be listened to. The aluminum girdle cover is not needed with the Moser 12 bolt. If you like the look of it then that's fine, but the Moser 12 bolt is so much stronger than a Chevy 12 bolt that the cover is completely unnecessary. The Moser bearing caps are about 2 times as thick as Chevy bearing caps, and it has 1/2 inch bolts instead of the Chevy 7/16 bolts. The center casting is also much thicker. Sealed ball bearings are not able to handle side loads like tapered roller bearings. If you plan on auto cross where you will see high side loads then use the tapered rollers. I don't know much about the Moser but it seems that every time there's a post on this form about incompatibility problems it's the Moser. The strange 12 bolts always fit. My 20 year old Strange 12 bolt with c-clip eliminators weeps oil out the axle ends and has from day one. Ask about that with whatever end caps they're talking about. I can't imagine it has to be that way. My axles have two sets of holes for wheel studs. One set accepts the stock style 12 mm, and the other set is for a screw in 1/2 inch stud. Nice feature in case you want to upgrade wheel studs. Last edited by QwkTrip; 12-14-2018 at 01:19 AM. 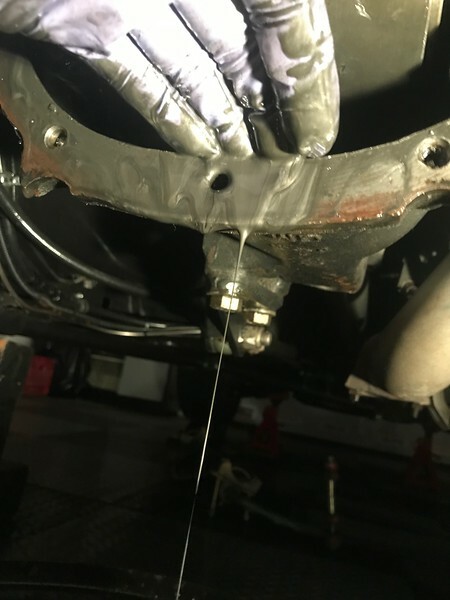 The reason that the Strange rear end leaks oil around the axle bearings is because their housing ends don't accept a stock Ford axle seal. They rely on the O ring around the outside of the bearing to seal it. The Moser housing ends accept the stock Ford seal and they don't leak. This only applies to the sealed ball bearings. The tapered roller bearings use a seal on the outer side of the bearing, which work in either rear end, and can sometimes be hard to seal. You can not replace this seal unless you also replace the bearing. dont guys put alittle rtv around the bearing seal? I thought i heard that before. Yes, you can do that, but the seals in the bearings are not that great either and they leak. I just prefer the Moser ends. I'm eventually going to use a S60 in a Chevelle, but I'm going to order it without ends and I'm going to use Moser ends on it. But if you use the tapered roller bearings it doesn't really matter because the seal is completely different. thanks guys. I do like the look of the aluminum cover but thats great toknow that the moser 12 bolt caps are super strong already. - 3.55 or 3.73 gear ratio ? -actual length wheel studs I should get. 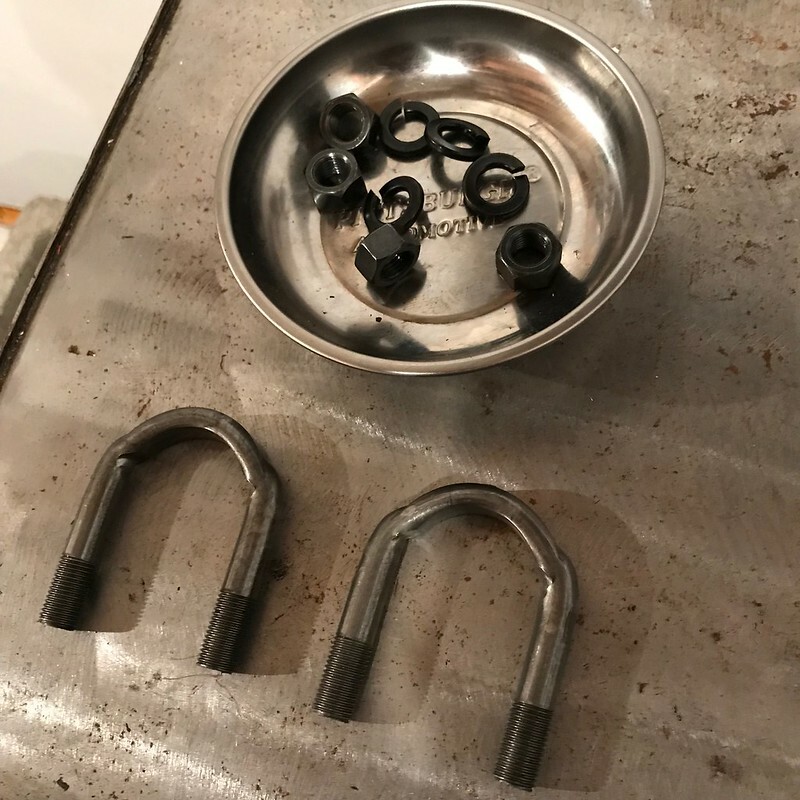 will go with 1/2" diameter, but unsure what length would be aesthetically pleasing (and strong) for my street wheels, but have enough length to be NHRA legal (have at least 1/2" of thread engagement) when i run a dedicated drag wheel. maybe the 2" long x 1/2" screw ins? are screw ins better ? Ive pressed in studs before, but how much better/different are screw ins? recomended? 2.5 offset is Ford and 2.75 is GM. 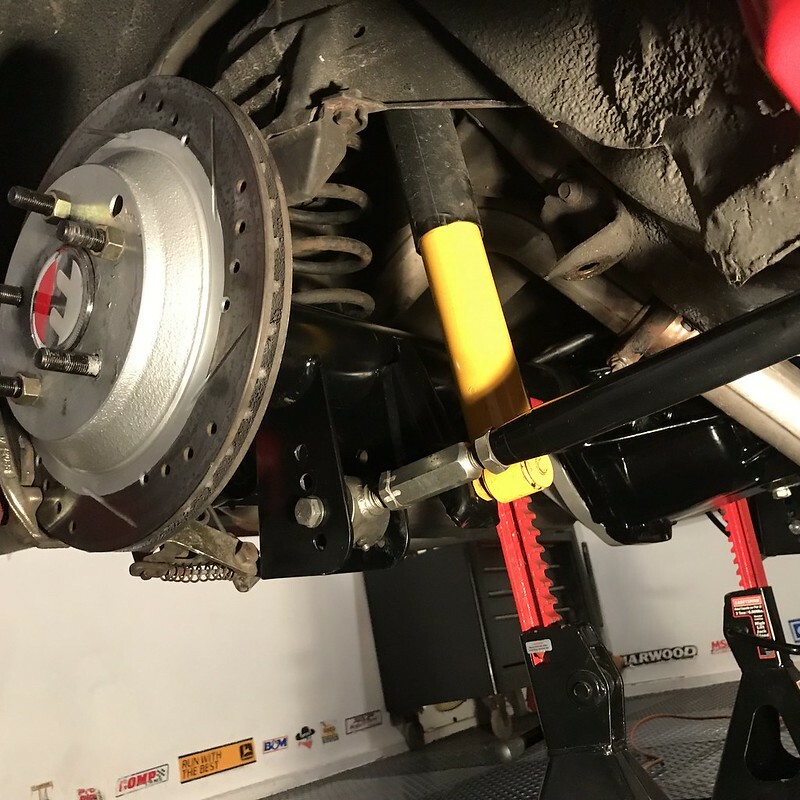 If you were going to run Ford brakes then you would need the 2.5 offset. yes this is very true... i have had the seal in the "sealed" ball bearing leak in one of my Hawks 8.8 shortly after new... the bearing seal was leaking, not the o ring... fortunately they use moser ends, but on this early 8.8 build they were not using the inner shaft seal. i added that and have been in great shape since. on the moser 12 bolt, the one thing i had heard about was the mounting of the torque arm was not ideal in that they did not use the long pass through bolts and some people had the short bolts loosen over time... i do not have one so not first hand, but believe if you do a search you will find some comments on this. So can I eliminate the oil weep with my Strange 12 bolt or just slow it down? I wipe a decent amount of grease from the barrel of my rear wheels every 1000 miles when tires are replaced. I am still waiting/hoping to hear from Ed Miller. Over the past 3 weeks, I left several voicemails, several emails, a PM on TGO. 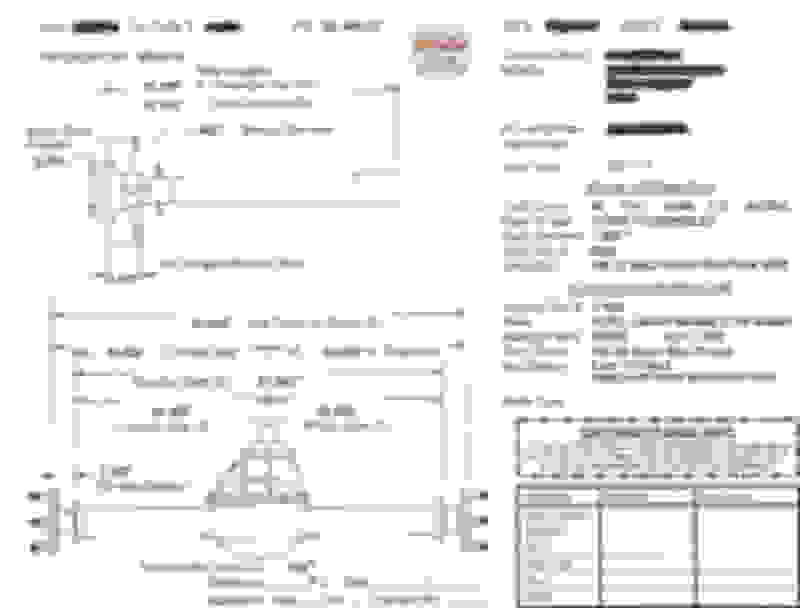 I just want to verify that if I order his brackets http://flynbye.com/catalog/i73.html , that I should tell Moser to make the housing ends accept the 2.75 Gm style offset. ....... Secondly, I also need to know that If I place the order via his website, that he is around/physically able to fulfill the order and I am not left wondering if I'll ever get the parts ... ugh. ---I have bought my frond C4HD kit from Ed in 2007, and the rear C4HD kit from him in 2011. Despite the gripes and criticism of flynbye, I have been lucky during those purchase experiences. I know that he is not the best with communication, so I am being SUPER hopeful he can come through for me againand I can have a quick chat with him about eth brackets, then order them, and have them shipped out in a somewhat reasonable period of time. hopefully. Otherwise, aside from measuring out what wheels stud length I will need, I am ready to order. I will probably go with a 3.55 gear ratio, which will mean that I will have to change out the one speedometer gear to a 41 tooth (yellow) gear. correct? if i stay with 3.73s I wouldn't need to change that gear, but I kind of think the 3.55 ratio will be better for how I plan to use the car. if anyone else knows of anyone who makes these conversion brackets, please please let me know. I called Moser again just now and they couldn't suggest any companies who could make these brackets. shoot. Last edited by IROCZman15; 01-14-2019 at 12:26 PM. Ed has great products, but his responsiveness is a huge issue (based on numerous posts on this site). i had an older style Moser 9" with drum brakes in my '84 TA but the tube flanges are a GM bolt pattern. 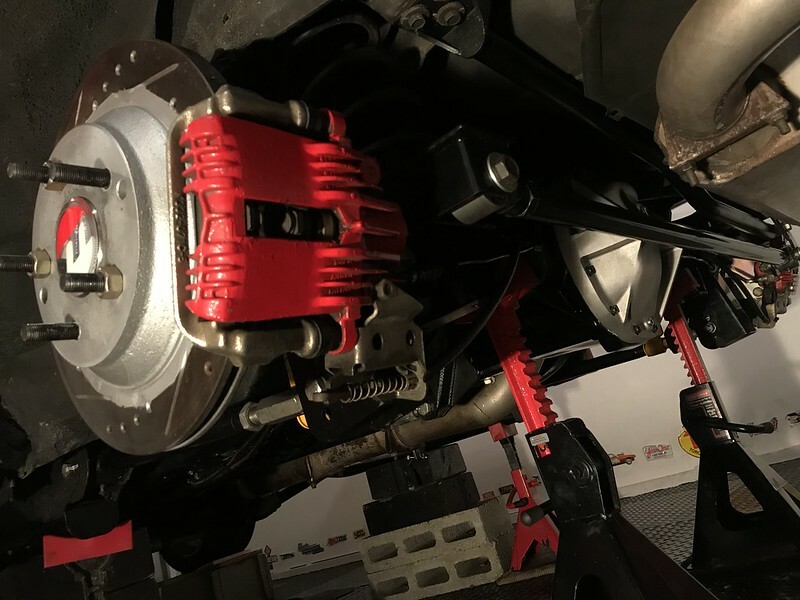 Scott was able to help me order a rear kit to fit 5th gen Camaro SS brembo calipers on my setup. Scott spent a lot of time answering my questions both through email and phone call both before and after the order was placed. 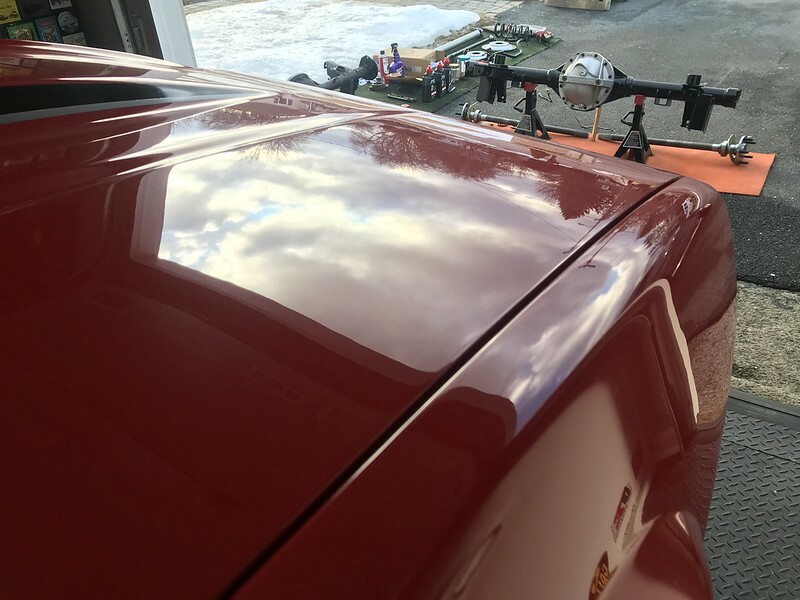 he was extremely responsive and the parts were all great quality. i couldn't be happier. i know you're looking at using the brake setup you have but i would try contacting Scott to see if he can help. I actually did send him an email a few hours ago. I was doing some reading on here and searching for companies that "might possibly maybe" have a similar bracket to Ed's, and I had always read good things here on TGO about BBupgrade. I thoguht, what the heck and shot Scott an email. Within 10 minutes he replied and we have had a few emails today which has definitely put my mind at ease. Like an IDIOT, id had completley not considered to not use a ford housing end. I thought that was the only option. He suggested a Gm end and showed me one that would even allow me to use my current (EdMiller)brackets, so i wouldnt have to buy new ones. I don't see any particular need to have ford housing ends, and the GM ones would allow me to use the existing bracket so maybe hats the route I should go .. I just called Moser again and they think this should work. 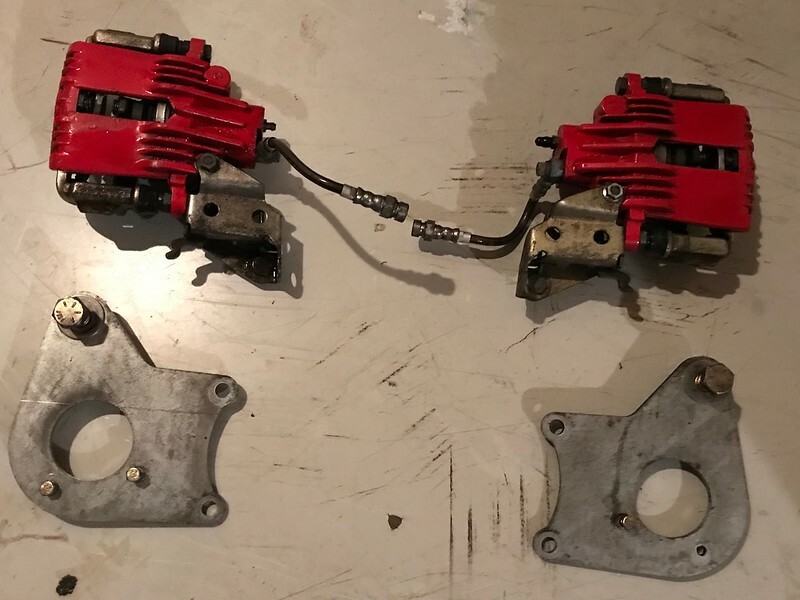 I even asked them if it would be possible to ship them one/both of my brake brackets so they could install it on the axle shaft prior to pressing on the bearings. 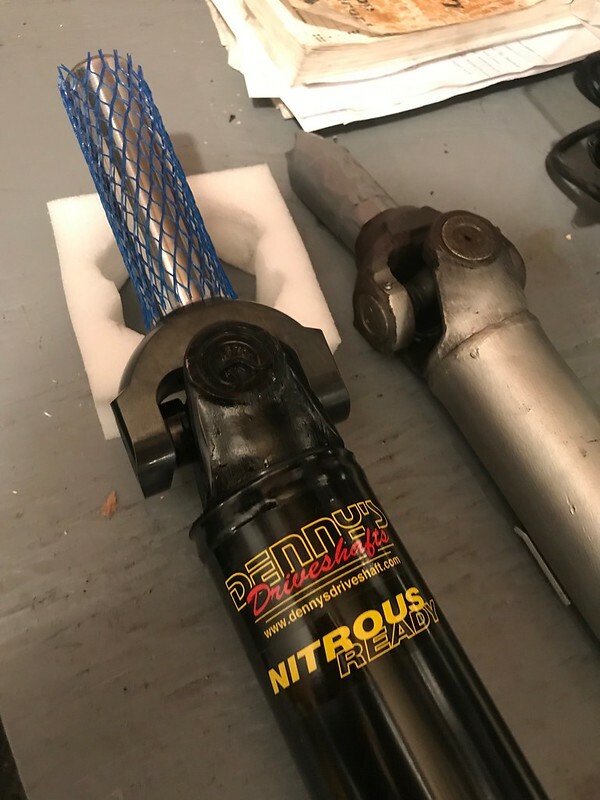 They mentioned that that could be done, and if I wanted to I could ship them my whole rear brake assembly and they would mount it up along with brake lines and T fitting. yes it would add to the cost, but then I wouldn't have to struggle with fixing a mistake if I made a goof while ordering. Definitely thankful to Scott for helping me today, and thanks for the suggestion too battman. that's awesome! glad to hear Scott was able to help. I have a 9 inch. The strange brackets let you use the autrailian 9 bolt brake setup which is nice. 525 rwhp is nice. Any one of those rear ends will suffice. It's hard to put a hp number to what you need for a rear. Another way to look at it is how sticky a tire you are running and what weight is the car and auto or manual. I went 9 for the weight savings. 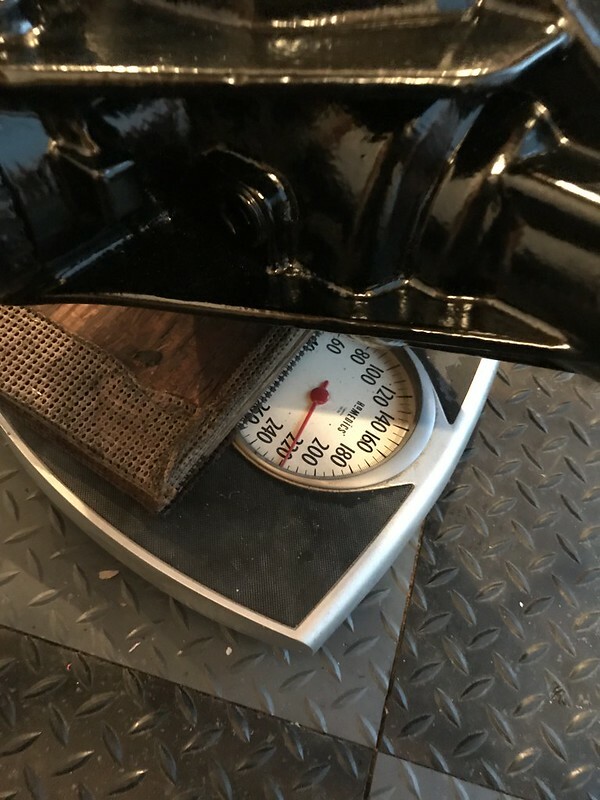 Fab 9 weighs within 10 lbs of a 9 bolt. I like the strange stuff. Either way you go the S60 is putting alot of weight back in the car. So as this stands, I spoke to Scott a bit and to Moser about re-working my existing drum-to-disc conversion brackets. While it is totally possible, it would cost a bit of $. Again, much thanks to Scott for being very helpful. I think I am going to go with 3.73 gear ratio. 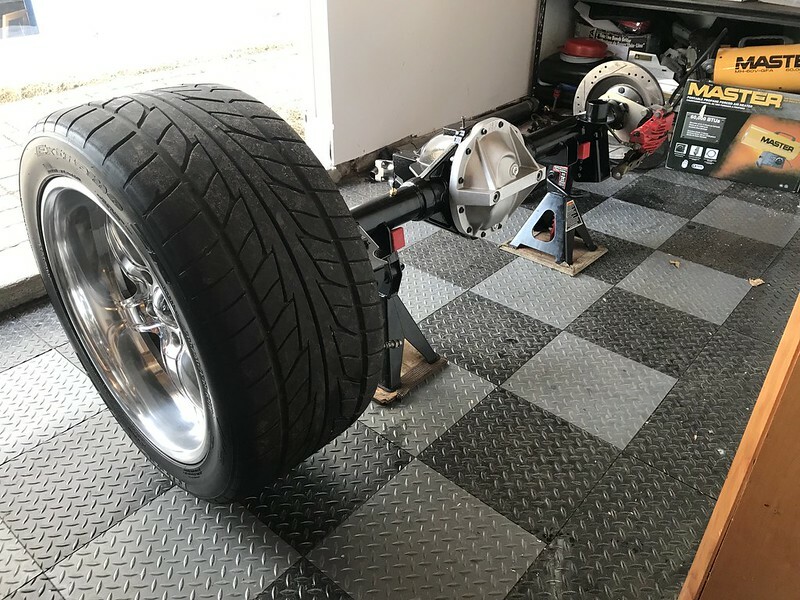 I run a Nitto 555 street tire, which is 26.97" tall if I go with a taller slick, or drag radial or something similar the 3.73's might be better than the 3.55's. I also wont have to swap out the plastic speedo gear either. Last edited by IROCZman15; 01-28-2019 at 12:02 PM. ..cool, but you might have posted this in the wrong thread. i think it belongs in the other thread I had coincidentally also just commented on about which rear to pick. for me, I am all set on the 12 bolt. order being placed in a few days once I ship my brackets/plates for Moser for them to examine and give me the "ok" on. Good Luck with Moser - not a fan. Just too many stories, but you could get lucky. Crush sleeve or solid spacer? I heard the stories of bolts backing out of TA housing, but I have no problems - one set is pass through and other set is threaded-in. MW uses the old KTRE housing. I had MW build a 12 bolt for me with BF Housings and SET 20 Bearings! Used Wilwood D-154 as I have WW FSL 6pot up front. Loosing track on both your threads sorry. Either the 12 or the 9 inch, strange makes brackets that let you bolt up the 9 bolts brake setup. Did you decide on brand yet? Fan of strange stuff. Dont hear much good about moser, just and fyi before you lay down alot of money. The rear was built by Moser. I had dozens and dozens of conversations with people in person and online about specs, power levels, street-ability, part compatability, etc. 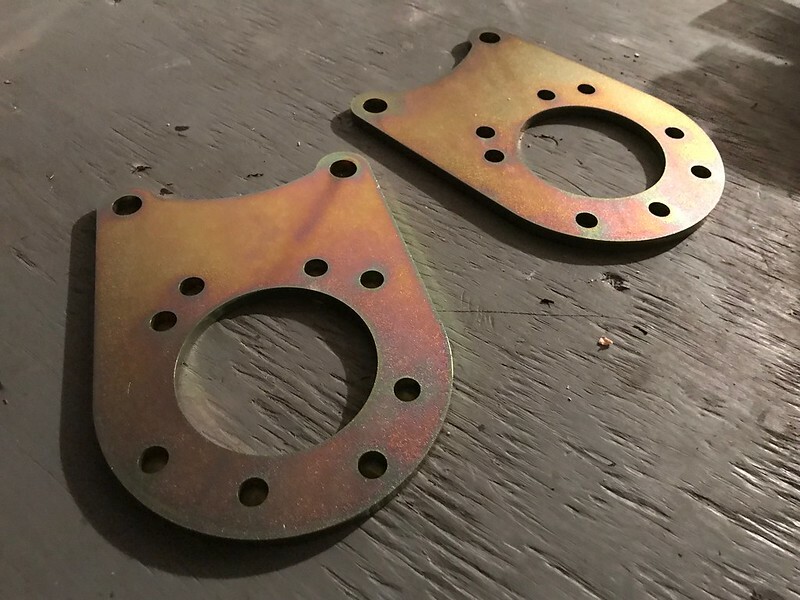 Ed Miller got me the set of brake backing plates I needed to run my 1LE style PBR brake setup. I shipped these to Moser and after they gave the "ok" we placed the order. I am very happy. I can't believe how massive these 33 spline axle shafts are !! The axle with my brakes on it (but without fluid) weighed 210 pounds and is a beast! I know it will rob a lot of horsepower to turn this(and I don't have much currently), but it is worth it in the long run for the strength. The next engine coming will work out just fine with this setup. I wanted to simply do this once and do it right. 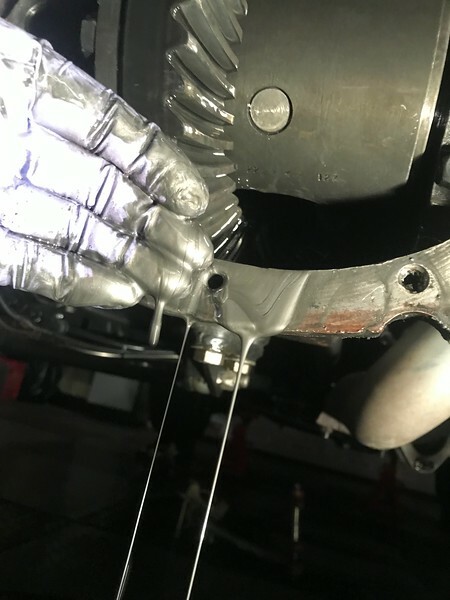 I was told by Moser that this axle combination is good to hold about 900 hp on a street type surface, but a little less for any type of transbrake launches on a prepped track with a sticky tire. 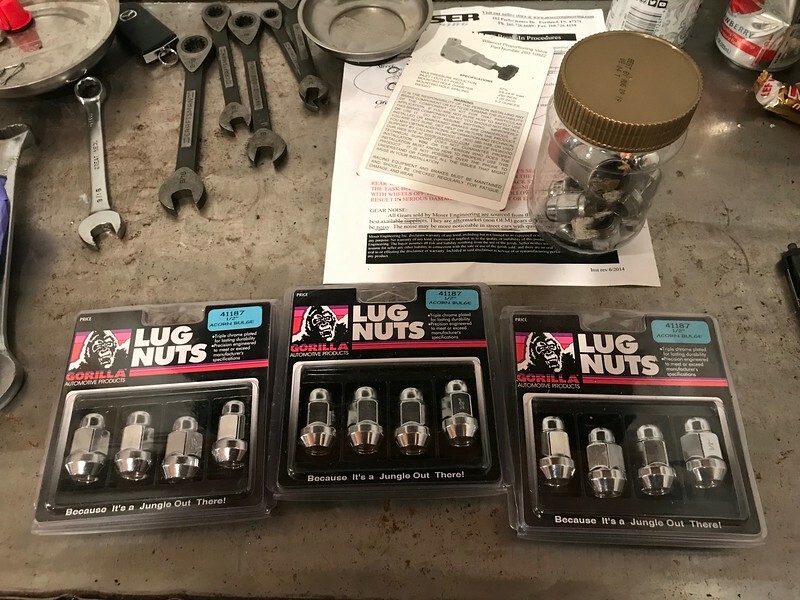 I forgot to think ahead and buy larger U-bolts for my sway bar mounts (larger 3" axle tube) so those have been ordered. 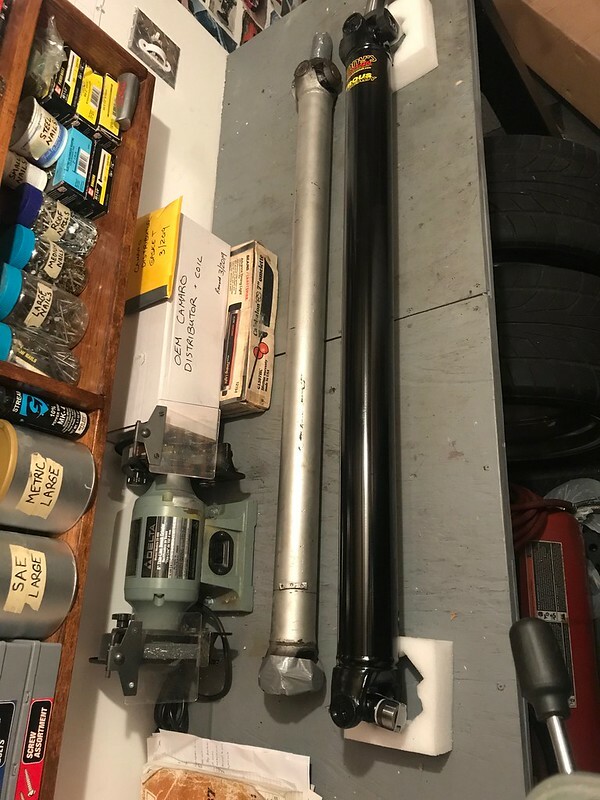 Driveshaft should be here in a few weeks. Then we can break this in properly and hit the road. Looks sweet,has the car been for it maiden voyage with the new rear yet? not yet, probably in early April. 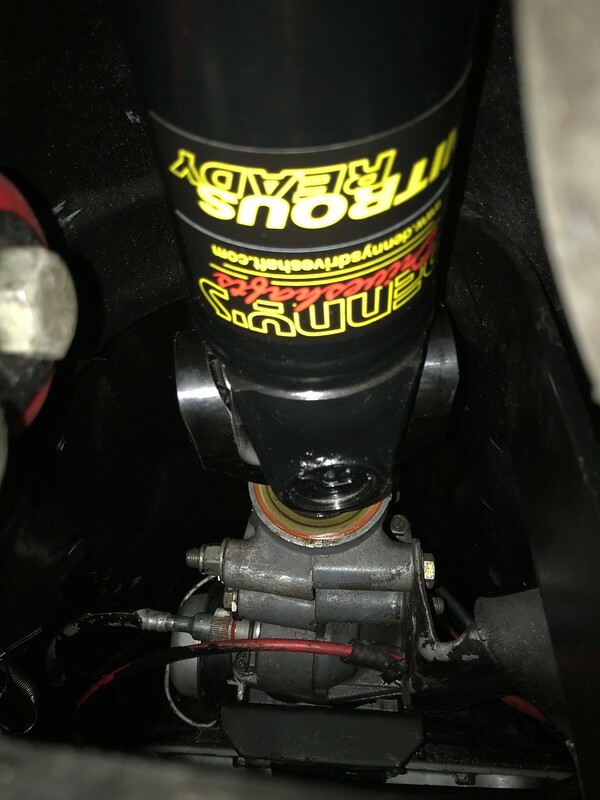 My driveshaft will be here this upcoming week (built by Denny's driveshafts) and it is "guaranteed to last for life" or free replacement. they stand by their word that it will hold up to 1,500 horsepower and transbrake launches... but both of those are way out of my league as a street car. once I get that driveshaft in, I have to bring the car to a local alignment shop and make sure the rear is sitting square etc. they usually let me go back there and work with the tech to get it dialed in. I'll also have to set pinion/driveline angle as well. driveshaft arrived. it is a very nice piece. weighed in just around 21 lbs. 3" tube. fully welded. 1350 U-joints, Sonnax chrome-moly slip yoke, super high speed balanced. free lifetime replacement if I ever break it. Installed it with no problems. Checked my driveline angle and it was pretty good for now. I will be dialing it in after I go get a 4wheel alignment in the next few weeks. Took the car on a road test after doing the recommended break-in session as per moser...which was to put car up on jackstands and let rear axle turn for 2 minutes in Drive, and then 2 minutes in reverse....followed by some road time with moderate driving for 15 minutes. .
the tru-track is niiiiiiiiiiice. I have no gear whine noise at all(my old worn out 10 bolt howled and screamed). the rear feels pretty squared up going down the road too. an alignment will perfect this, but it didn't crabwalk or anything weird. 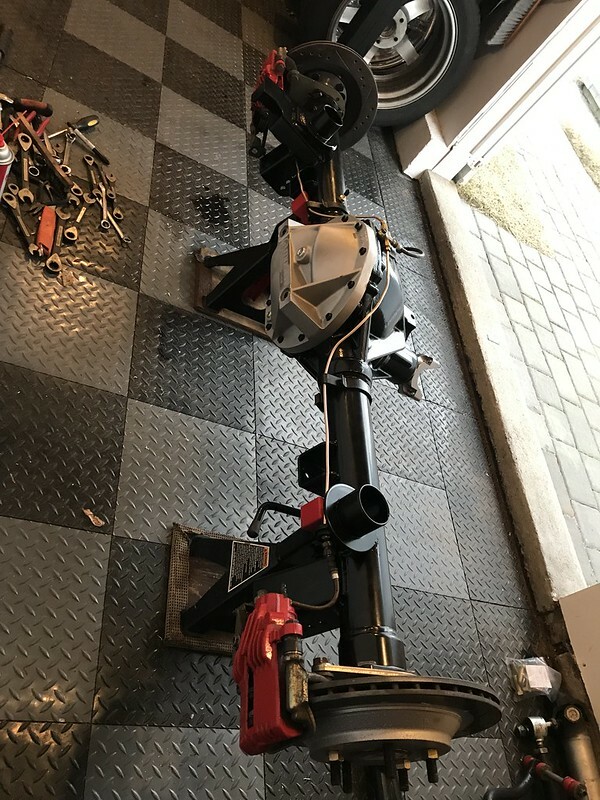 I know I have to move the rear about 1/2" to the drivers side now via the panhard bar adjustment but I couldn't get it this set precise when the car was up on jackstands before. hmmm, speedometer isn't working at all though. despite me buying a new black colored driven gear, and a whole metal new speedometer gear housing for the 700r4, so I will take it apart and see what is happening. maybe the teeth/splines just aren't engaging. all in all, project is basically complete and working great. Last edited by IROCZman15; 03-25-2019 at 12:42 PM. Looking good man! 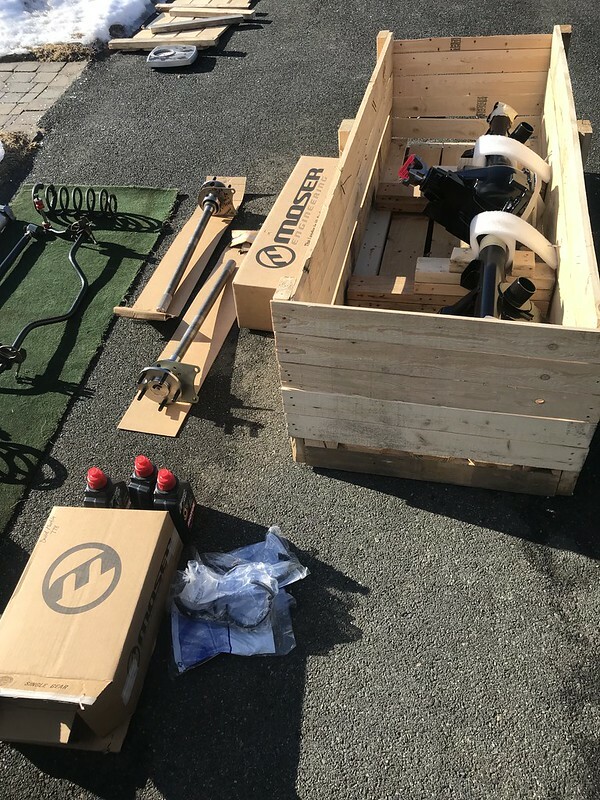 It's nice to see the axle came in a crate. My moser axle came in a heavy cardboard box and didn't make the trip via UPS unscathed, lol. Glad to hear it all came together and is driving nicely.Im anxious to get my s60 and report back how it feels..and slips of how it performs.I hate having to loose some power due to loss of the rear but it also helps plant everything I can throw at it. axle looks familiar.... you will be happy. 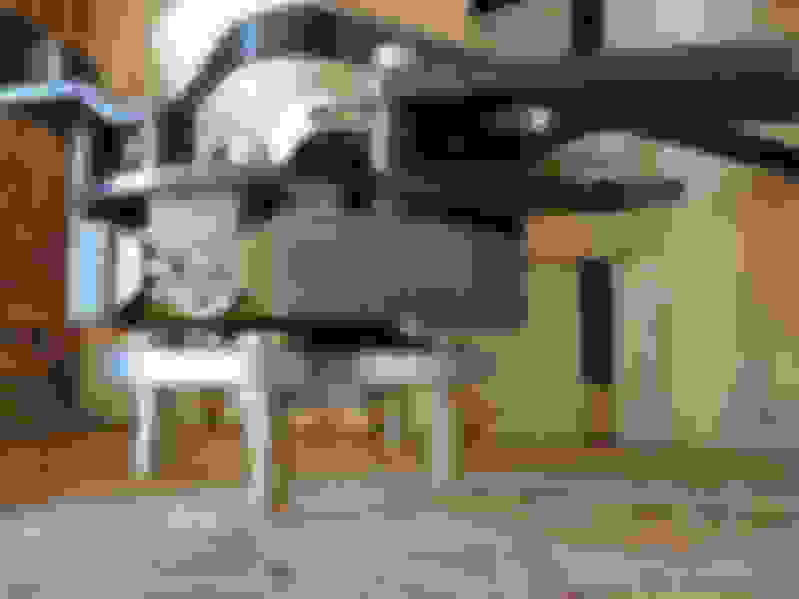 Last edited by IROCZman15; 04-13-2019 at 08:48 PM. Just got the car's alignment dialed in early this week. Drove the car a few times throughout the week and put about 80 miles on it. the rear is GREAT. the trutrack is great. everything is quiet. no vibrations or howling. I do notice the difference in the 3.55 gear ration compared to the 3.73s I used to have, but I know that it will be much happier on the highway and the new engine (winter 2019) will have no problem putting the 3.55s through their paces . I am super happy about the 12 bolt decision and everything seems to be working awesomely!! I haven't got the chance to do any major burnouts yet or to use the truetrack in the rain, but that time will come. very happy ....expensive, but well worth it (to me). 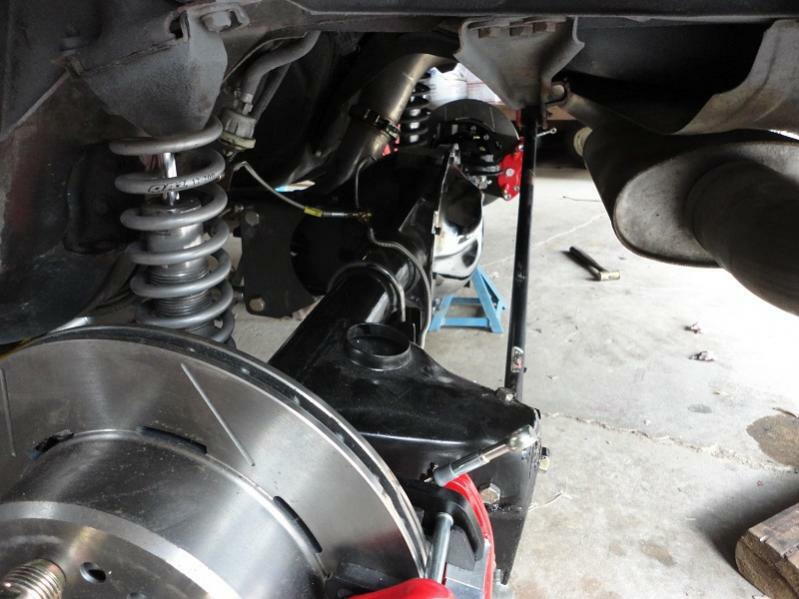 Thinkin of ordering moser 9" housing and axle package !! !